Heat oven to 400° F. Spray cookie sheet with cooking spray. 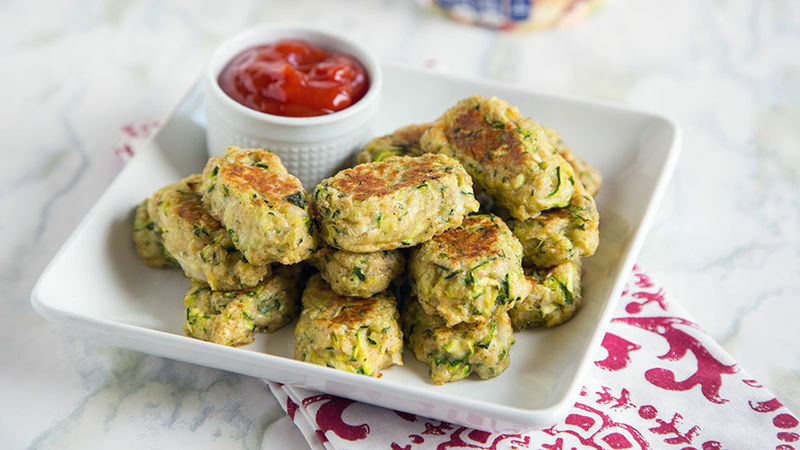 Grate or finely chop 1 medium zucchini; squeeze out all of the excess water with a clean dish towel. 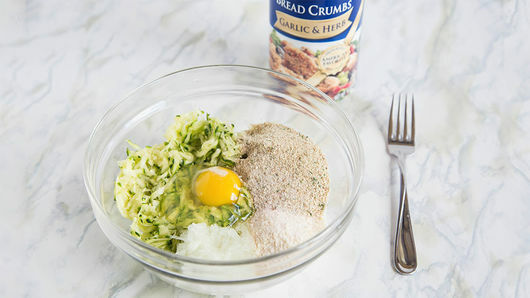 In medium bowl, mix zucchini, 1/4 cup finely chopped or grated onion, 1/4 cup Progresso™ garlic & herb bread crumbs, 1/4 cup grated Parmesan cheese, 1 egg, beaten, and salt and pepper to taste. Mix until well blended. Shape about a tablespoonful of mixture into a small round log. Place on cookie sheet. Repeat to use all of mixture, placing 1 inch apart. Bake 18 to 22 minutes, turning halfway through bake time. Switch out the Parmesan cheese for sharp Cheddar for a cheesier twist. 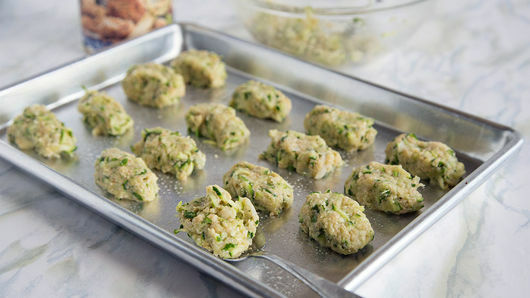 Make a large batch of these, and freeze them after they have been shaped. Pull them out for busy weeknights.